People do the strangest things, don’t they? For the life of me, I’ve never been able to understand what would motivate someone to jump out of an aeroplane, run a marathon or, until recently, buy a Vauxhall Insignia. And yet, thousands upon thousands of people do exactly these things every single year. You see, the previous Insignia - like the Vectra before it – simply wasn’t very good. It wasn’t particularly comfortable, particularly quiet, particularly practical, particularly well-equipped or particularly cheap. On top of all that, it was simultaneously as common as muck and as dull as dishwater. But despite all that, it always remained one of the UK’s best-selling cars. The question is, why? To try and find out, I’ve taken delivery of the new version – in Sports Tourer (estate, to you and me) form, to get familiar with it and see if there’s something about the car that only those-in-the-know can see. On paper it suits my needs, because it has plenty of space for my two young children and all their associated gubbins, and an economical diesel engine that returns official fuel economy of 62.8mpg, saving me money at the pumps that I can instead spend on buying more gubbins for the kids. We’ve chosen SRi Nav trim, because it balances a good amount of luxury kit with an affordable price, but also because it gives the already-handsome Insignia a slightly sleeker, sportier look. We’ve also embellished our car with a few optional extras – details of which can be found at the bottom of the page – to a total of around three grand. Even at this early stage, though, my little experiment seems to be going off the rails slightly. That’s because, unlike its predecessor, the latest Insignia actually appears to be quite good. Not only is it practical, rammed with kit and good to look at, it’s also comfortable, quiet and secure on the road, it gives punchy performance, and the economy is living up to expectations. Bad news for my experiment, but good news for me and my family. 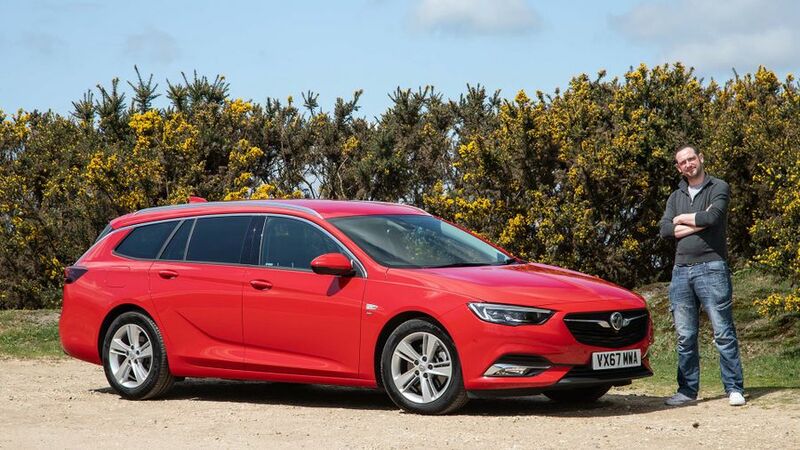 Someone once said that the best things in life are free, but in the case of our Insignia Sports Tourer, that isn’t true; they’re not even included in the list price. Yes, our SRi Nav-trimmed car is very well equipped as standard, providing four powered windows, climate-control, automatic lights and wipers, keyless entry, a sat-nav-enabled infotainment system and a whole bunch of clever safety kit. However, many of the things I like most about this car are optional extras that we added, making them money very well spent. 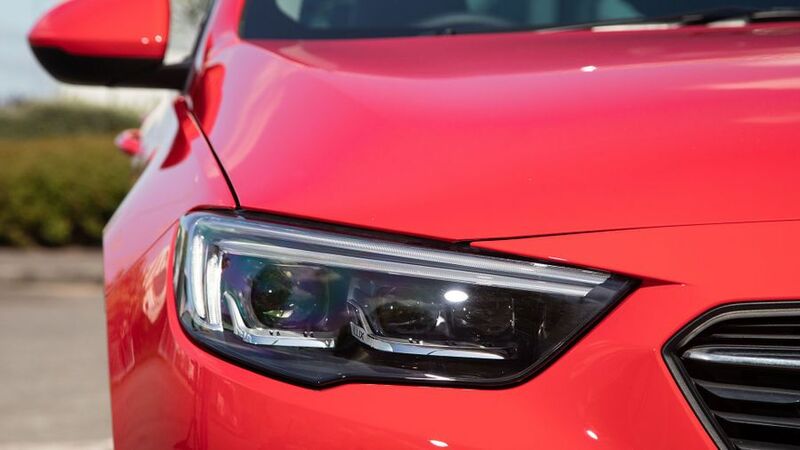 The first of these are the LED Matrix headlights. These do away with the need for having separate dipped and main beam settings by using the 16 individual lights in each lamp to shape the beam pattern around oncoming cars, meaning you get the maximum amount of light on the road without dazzling your fellow motorists. Having more light makes night-driving safer (allowing you to spot obstacles up to 1.8 seconds earlier, according to Vauxhall) and much more relaxing. And, due to the fact that we’ve never once been flashed by another car, we can only assume that the clever light-bending technology works well. These lights set us back a hefty £1010, but they’ve proved to be worth every penny. Another thing I’m very glad we added is the Winter Pack. To be honest, I’m not overly fussed about the heated-steering-wheel part of it, but I do love a heated seat, and the Insignia’s heat up really quickly and really intensely, so on a cold morning, it takes no time at all until you feel the warm, reassuring glow of a lightly grilled posterior. Even better is the heated windscreen, which saves you the time, effort and frost-bitten fingers required to scrape off your windscreen on a frosty morning. While your neighbours are all chipping and hacking away, you simply hit a button, wait for about a minute, swish your screen clear with your wipers, and off you go. On its own, that’s easily worth the £660 we spent on the pack. The Driving Assistance Pack also has some bits we’ve found useful. That doesn’t extend to the advanced parking function (which takes care of the steering when parking the car in parallel and perpendicular spaces), because like the big saddo I am, I actually enjoy the challenge of a perfectly executed parking manoeuvre. However, the pack also contains a blind spot monitor and lane change assist, both of which make life easier during long motorway schleps, and even a confident parker like myself will never deny that it’s handy to have the rear-view camera that the pack also brings. It’s just a shame that - like a lot of rear-view cameras - it makes objects look much closer than they really are, and the bleeps of the parking sensors give you the same impression. This means that you often find that the front end of the car is still hanging over the front of a parking bay when you still have quite a bit of space behind you. I also like the Lava Red paint finish of our car, which cost us £285, but if I was speccing the car again, I probably wouldn’t bother adding the eight-inch colour display in the instrument cluster. It looks good and it’s reasonably useful, but I’d happily live without it for another £415 in my pocket. Last month, I mentioned that many of my favourite things about the Insignia were optional items that cost extra over and above the car’s list price. Thing is, while that’s still true, it’s worth mentioning that there’s still plenty to like about the basic car. The main thing that makes me thank my lucky stars on a daily basis, though, is how comfortable the car is. The first reason for this is the seats, which are fabulously supportive in all the right places, meaning you can spend hours at the wheel without feeling any aches and pains afterwards. The fact that the driving position has so much adjustability helps on that score, too. The ride quality is another big factor. Whatever sort of road surfaces you’re on, and whatever speed you’re going, this is a car that does a really great job of isolating you from lumps and bumps, leaving you and your family to get on with your journey in a relaxed, tranquil manner. It’s a quiet cruiser as well, with a subdued 1.6-litre diesel engine and impressive isolation of exterior noises. True, it’s not the sportiest car you’ll ever drive, but it’s still stable, secure and controlled in the bends. Besides, when I’ve been hard at work or have the family in tow, I’ll take comfort over handling all day long. And that family aspect is another important factor, and for a couple of reasons. The fact that the car has five Euro NCAP stars – and a whole shedload of clever safety technology - gives me peace of mind when ferrying around my two young children, because let’s face it, they’re the most precious cargo I’ll ever carry. And when it comes to carrying other sorts of cargo, the Insignia has that nailed as well. 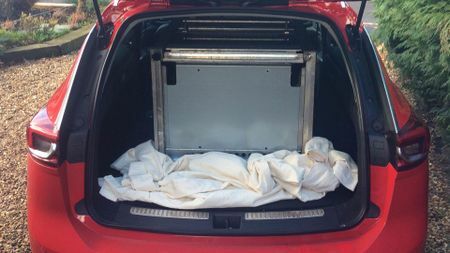 The boot is massive – bigger than in many rivals – and it has a low load lip, a good shape and rear seats the go pretty much flat when you fold them down. Perfect for the trials and tribulations of family life. Perhaps the most appealing part about the Insignia, though, is the financial proposition it represents. While the list prices of previous Insignias have been disproportionately expensive, Vauxhall has got sensible with the latest one, and that has a variety of positive knock-on effects. It means more competitive monthly payments for private customers buying on finance and – more likely – competitive leasing rates for companies running fleet cars. Low CO2 emissions also mean low tax bills for the employees that run them, and that impressive efficiency means similarly impressive fuel economy. In short, this is a much more affordable car than it used to be. Great news, since it’s also a much better car than it used to be. 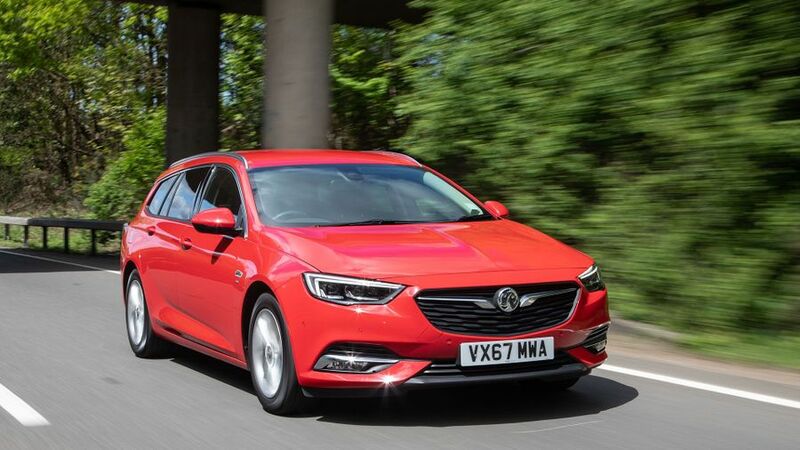 I’ve spent the last two reports on the Insignia eulogising about the car’s many good points, but like anything – or anyone – the big Vauxhall isn’t perfect. And it’s now time to add a little balance to the argument by highlighting one or two of the car’s less positive points. The first point, I’ll admit, is purely subjective and, to be honest, it matters very little. That’s because it concerns the car’s styling. On each side of the car, there’s a piece of metallic trim that starts by the door mirror and runs over the side windows. That’s fine, but then it ends by deviating away from the line of the side windows, instead slashing across the rear pillars to run down the side of the rear screen. This line then plunges into the top of the rear light cluster and kinks outwards towards the side of the car. Now, I’m no expert in car design, but to my eye, that last bit looks all wrong. I reckon the strip would’ve looked much better sticking to the line of the side windows, finishing either at the bottom of the rear quarterlight window, or even better, continuing all the way around the side windows and back to the door mirror where it started. Like a say, this isn’t exactly a deal-breaker, but when the rest of the car is so handsome, these little details really stand out. The second negative, again, is pretty minor, and it concerns the windscreen washer jets. They’re pathetically weak, giving you no more than a feeble trickle of fluid that barely makes it as far as the bottom of the windscreen. Indeed, the higher reaches of the screen would never see any fluid whatsoever if the wipers weren’t on hand to lift it up to where it needs to be. Like I say, it’s not that much of an issue because the screen always gets clean eventually, but it’s a longer, more arduous process than it needs to be. The Insignia’s build quality is another area where things are a tad sub-optimal – if not exactly catastrophic - in places. Poke around, and there are a few areas where the panel gaps are a shade inconsistent, and where interior trim pieces don’t quite line up as flush as they might, but it doesn’t do much to detract from the general feeling of solidity in the car. Admittedly, it’s more of a problem, though, when the build quality issues result in a breakage, and one trim piece – namely the plastic frame that surrounds the catch you pull to drop the rear seats – has dropped off. The final grumble comes not from me, but one of my colleagues. Senior road tester Phill Tromans is an avid Apple CarPlay user, and he tells me that the Insignia was the only car he’s ever encountered (and he’s encountered a fair few) where the infotainment system completely failed to connect to his phone. As someone who’s less of a CarPlay fan and is happy to use the interface that comes with the car (you’ve paid for it, after all), this has never been a problem for me, but it’s something that phone-philes might want to bear in mind. So, everything’s not completely rosy with the Insignia, but if you look at all these negatives in another way, it raises an important positive. One ugly trim piece, some feeble washer jets, a couple of shonky shut lines and a glitch with a system I don’t use anyway. If that’s all I have to complain about with the whole car, then I’m pretty happy with that. Month five – OnStar of the show? 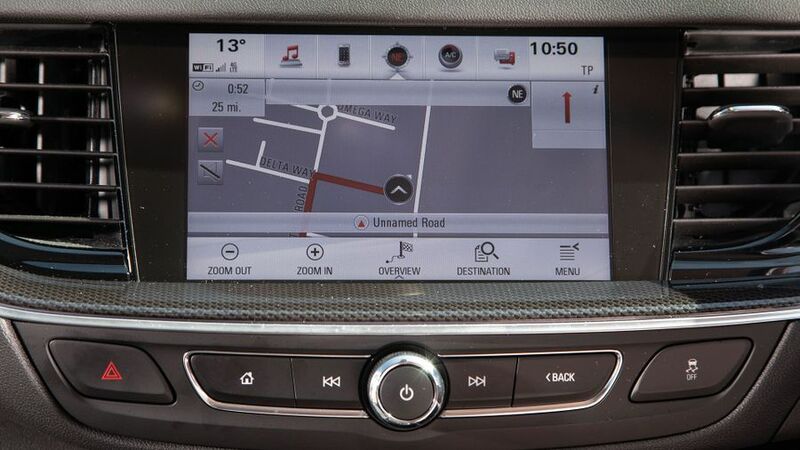 When we first took delivery of our Insignia, Vauxhall was very keen to extol the virtues of something called OnStar. Lately, however, the firm has been much less vocal about it, and the reasons for this shall become apparent later on. 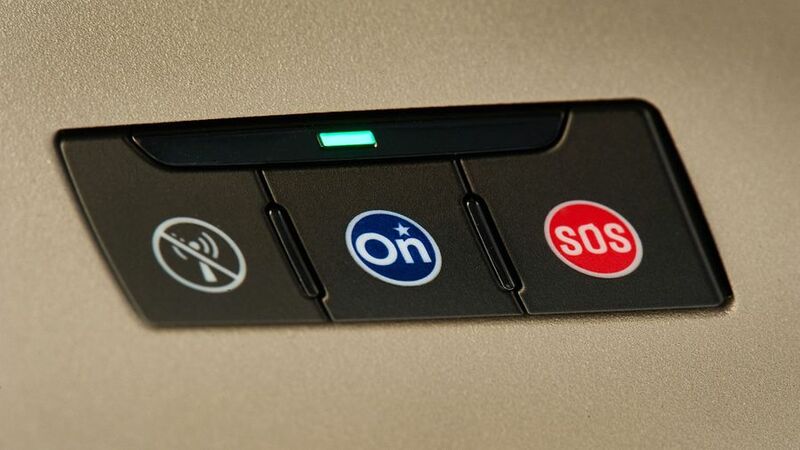 But before we get onto that, what is OnStar, and is it any good? 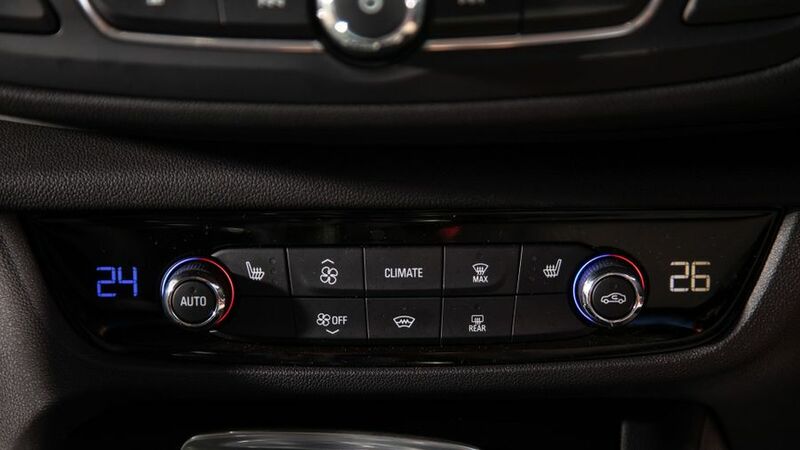 OnStar is a feature, or rather, a collection of features, that basically make your car ultra-connected, and it does this in a variety of ways. Parents will be delighted to hear that it gives you a wifi hotspot capable of connecting no less than seven devices to the internet. Seven. That’s a lot, and more than you’re ever likely to need. My kids – being just four and two – are still young enough that, on a long journey, they’re more interested in ‘I Spy’ than in iPhones. However, when you have older kids to keep happy (or rather, quiet) on a long motorway schlep, I’m sure that plentiful wifi would be a very powerful weapon in your in-car entertainment arsenal. And, while my kids don’t appreciate it, the missus likes the ability to surf the net while sailing along the motorway. Most of the benefits, however, relate to the fact that the car is constantly connected to a nerve-centre that’s on hand 24 hours a day to provide assistance in various ways. For instance, your car can be located if it’s stolen, and if you have an accident, the emergency services can immediately be scrambled to your precise location, be it automatically or on-demand. You can also use it to call for medical assistance if you - or one of your passengers - fall ill, or to request roadside assistance in the event of a breakdown, even if it’s nothing more than a flat tyre or a fuel tank that’s run dry. More appealingly than all that, though, the system also provides what is essentially a 24-hour concierge service. At the touch of a button, you’re immediately put through to an operator – a real-life one rather than and automated one – who can help you with a variety of different inquiries. For instance, you can ask the operator to find the nearest fuel station or car park to where you are, and then get them to download the location straight to your sat-nav. Now, that’s all very clever and all, but in reality, it’s quite a long-winded process. My record for the ‘petrol station test’ was around a minute and a half, and it actually takes rather less time to use the ‘points of interest’ functions in your sat-nav. Or, if my missus was on board, it was even quicker to get her to Google it on her phone (using the wifi, naturally) and then punch the postcode into the navigation manually. The same goes for the vehicle diagnostic functionality, where you can ask for status checks on things like tyre pressure and oil life; all that stuff can be found in your car’s trip computer without the need to bother anybody in a call centre. On the other hand, though, if you ask the operators to find you a hotel or restaurant, then they can make bookings on your behalf, and I don’t know of many sat-navs or trip computers that can do that. The cost associated with OnStar is another slight negative. The hardware is free, and for the first year, so are most of the services. After that, however, you’re looking at an annual fee of around 90 quid, and that doesn’t factor in the cost of the separate 4G arrangement that you’ll need to make your wifi work. But why? Well, because Vauxhall was previously owned by an American company called General Motors, but was recently sold to a French firm called PSA, who also owns Peugeot, Citroen and DS. However, OnStar wasn’t part of the deal, and as a result, is still owned by General Motors. So, if our reports on the Insignia have piqued your interest and you fancy buying one, just don’t bank on OnStar being part of the package. Certainly not long-term, anyway. As a family man, practicality is always pretty high on my list of requirements when it comes to cars. Despite being quite small, my two kids, Felix (4) and Bess (2) don’t half take up a lot of space, and the paraphernalia that follows them around takes up even more. 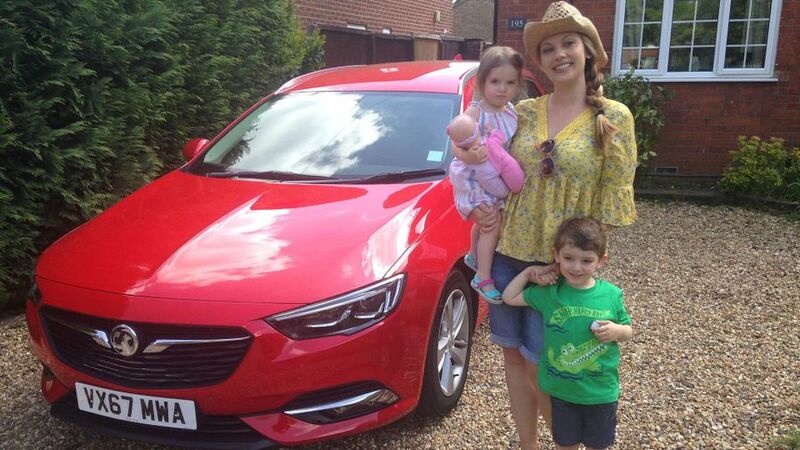 That’s why, over the past six months, the Insignia Sports Tourer has slotted into family life like… well… another member of the family. or Volkswagen Passat. It also happens to be dead-level with the Volvo V90. But, while the loadbay isn’t of a class-leading size, it’s still big enough for me to sling in pushchairs, nappy bags, wellies and bikes without having to get creative with how I pack. And when you’re trying to keep a brace of tempestuous toddlers happy, that’s something of a godsend. It’s not just volume that makes a good estate car, though, and the Insignia has the brief nailed in other ways. For starters, it’s really easy to load because the boot is good, square shape and there’s no load lip. 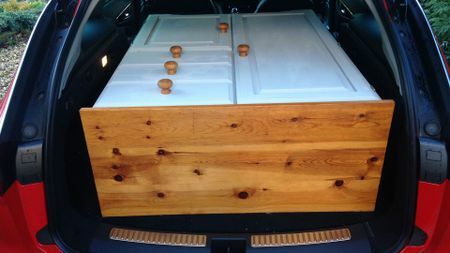 As you can see from our snaps, we’ve had all sorts in the back of this car, including a chest of drawers procured from Ebay and a broken cooker on its way to the rubbish dump. All stowed with impressive ease. There are more clever touches on offer, too. The boot walls have takeaway hooks for keeping shopping bags upright, and levers with which to drop the spring-loaded rear seats quickly and easily. Okay, so the seats don’t quite sit completely flat, but they’re really not far off. Things are pretty family-friendly in the passenger compartment, too. You have a variety of cubbies and pockets in which to stash toys and snacks, and there’s enough space that the kids’ legs don’t reach the front chairs, meaning the little-uns can’t try and grab mum and dad’s attention with a well-aimed kick. The big windows also mean that everyone gets a good view out, not to mention plenty of natural light. However, it’s the Isofix points that I really get excited about (yes, I really am that tragic! ), because they’re so well designed. 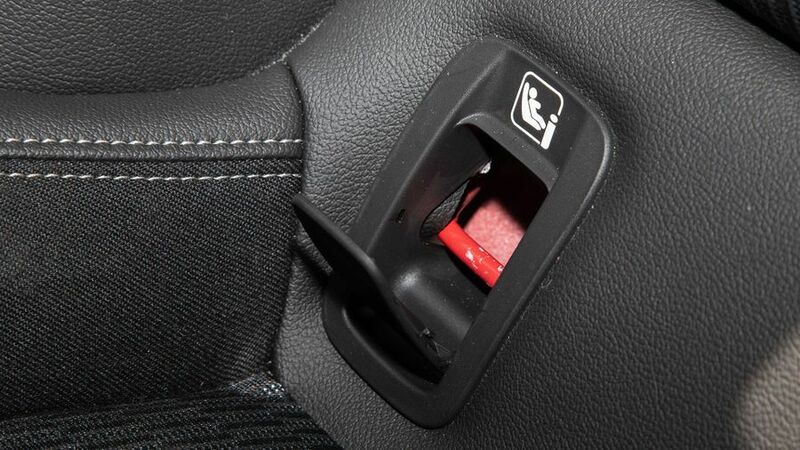 In some cars, you have to shove the seat fixing through a narrow slit in the seat cushion, which makes the mounting impossible to see and really hard to get at. 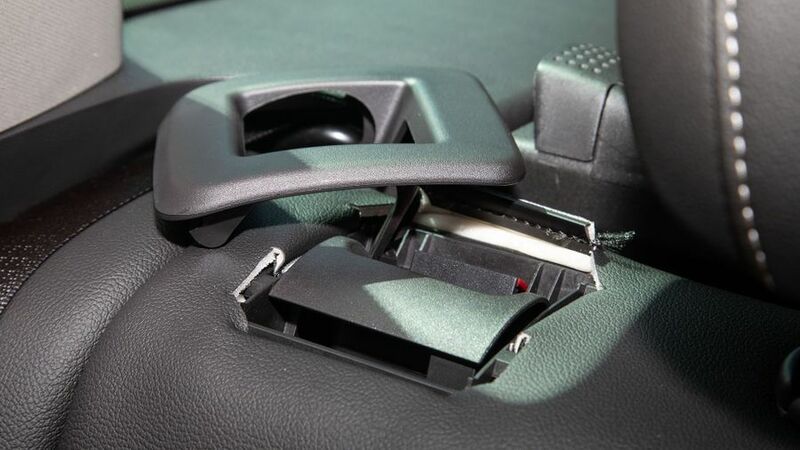 In other cars, the opening to the mounting is encased in plastic, which makes life a lot easier, but the opening has a cap that you have to remove to get access, and the cap inevitably gets lost in the footwell. With the Insignia, you simply pop open a hinged cover and away you go, meaning everything stays where it should be. Genius. Is it a perfect estate car? Well, no, because some rivals are even cleverer (for example, the Superb Estate has an ice-scraper under the fuel filler cap and a removable boot light you can use as a torch) than the Insignia. However, the car has still done a cracking job for me and my little family during our time with the car, and we’ll certainly miss it now that time is at an end. What’s more, when you factor in the car’s style, quality, comfort, kit levels, safety and how affordable it is, I reckon this might just be one of the most well-rounded family cars money can buy. If you have a brood of your own, and you haven’t already got your heart set on an SUV (which you probably have because everyone seems to these days! 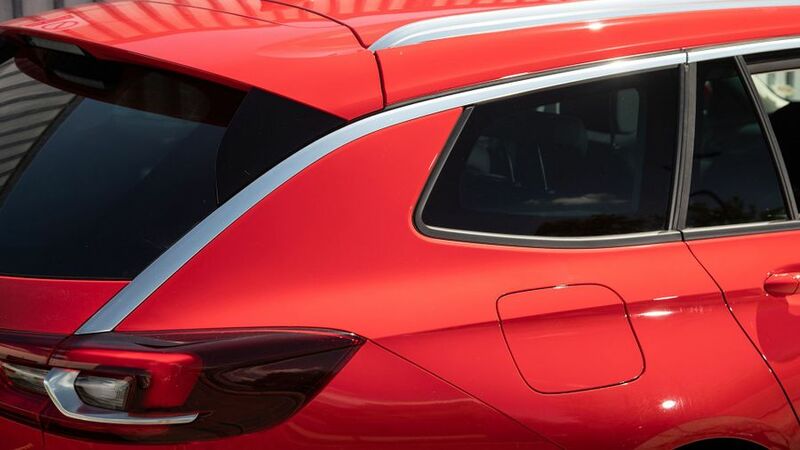 ), we’d definitely advise that you give the Insignia Sports Tourer a look.